Sustainability is a powerful force that is fundamentally reshaping humanity’s relationship to the natural world and is ushering in the Age of Integration. The move from well-intentioned environmental friendliness to the higher bar of integral sustainability and regenerative design demands a new type of design professional, one that is deeply collaborative, ethically grounded, empathically connected and technologically empowered. the use of well vetted rating systems. 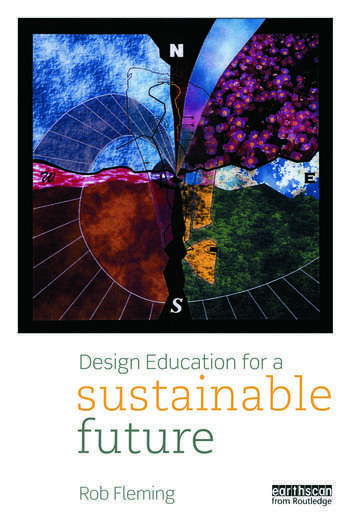 This book contains the integral frameworks, whole system change methodologies and intrinsic values that will assist professors and their students in an authentic and effective pursuit of design education for a sustainable future. Rob Fleming is a LEED® Accredited Professional and a registered architect with over 15 years' experience of teaching, research and practice in sustainable design. He is the co-creator and Director of the award-winning Master of Science in Sustainable Design Program at Philadelphia University. Rob is a Sustainability Fellow at Re:Vision Architecture in Philadelphia where he consults and facilitates integrated design charrettes. This book has more new and powerful educational ideas than a ten year stack of architectural education journals! It positions Rob Fleming as the leading visionary voice in design education today. His work calls designers and educators to take the momentous leap to an inclusive and discriminating integral perspective that transcends the totally ineffective relativistic pluralism dominating every design school today. Instead, he offers us a way to connect and honor the often disparate design realms of human experience, cultural meaning, physical performance and systemic processes. The transformations he proposes will challenge us all, surely; yet such compelling practices are critical to solving our collective and already-dramatic environmental and social problems. If widely adopted, our world will improve exponentially. This is both the design education community's challenge and its auspicious opportunity. May we all be daring enough to embrace it! - Mark DeKay, author, Integral Sustainable Design: transformative perspectives.